"Life taught me that, indeed, God exists and that He is good all the time. Life has allowed me to discover that God is a friend who dances with you even when there’s no music; who talks and listens to you even if He does not utter a single word." Please share our website to your friends. 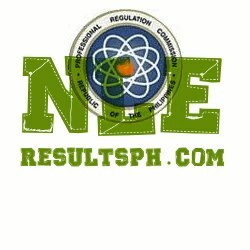 Visit us daily to know the latest news about the December 2012 NLE Results.